Easter and candy go together like rama lama lama ke ding a de dinga a dong! Healthy snacks rule, but I’m not above sharing jelly beans or other sweet treats when they create opportunities to engage kids in conversations of prayer. Lenten Sacrifice Beans turned Alleluia Beans turned conversation and prayers. We don’t find Jesus because we look in a grave or even on a cross. Jesus comes to us. In the water, in the bread, in the wine. Together at the table, we see Jesus in one another. With 50 Official Jelly Belly flavors and 50 days of Easter, Jelly Belly Prayers have become a seasonal favorite, and a simple way to invite children into the resurrection life. We are Easter people, after all! Kids can count on numbers. Numbers are concrete. Why does Lent have 40 days and Easter have 50? Why don’t we count Sundays as part of our 40 day Lenten journey? Lent has 40 days and Easter gets 50. Resurrection trumps crucifixion, Easter outshines Lent. Life conquers death. Every Sunday is celebrated as a little Easter. I love how the seasons of the church year invite kids and families into healthy rhythms of being the church. 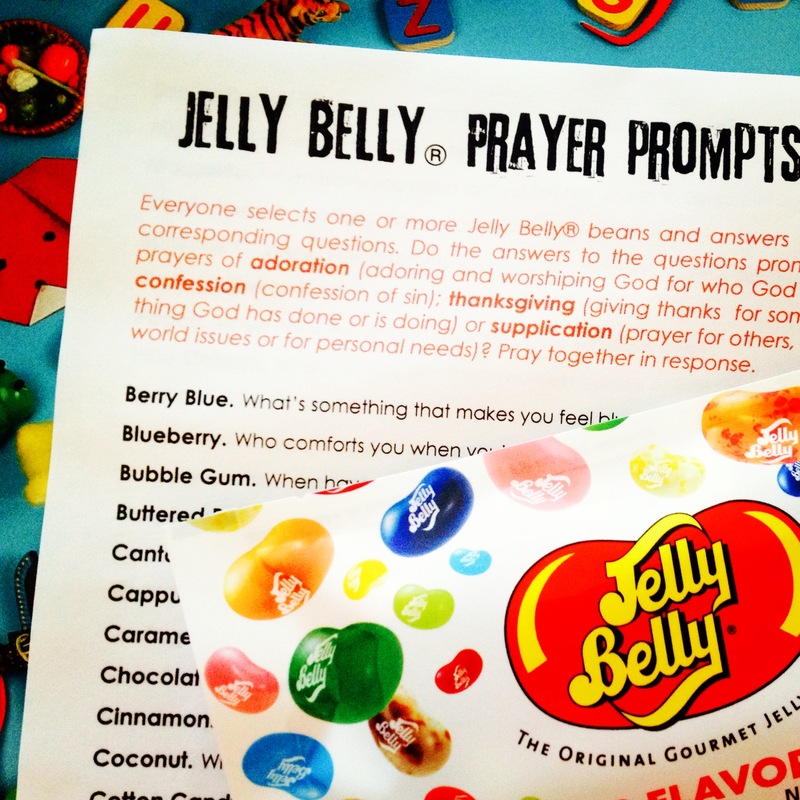 This year, during the 50 days of Easter, why not invite kids and families to use the attached Jelly Belly Prayer Prompt PDF. It introduces A.C.T.S. prayer (adoration, confession, thanksgiving, supplication), encourages conversation and prayer, and is sweet fun!